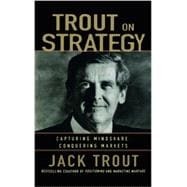 With his 1981 classic, Positioning, Jack Trout (along with coauthor Al Reis) forever changed the way marketing strategy is done. In the more than two decades since then, he has remained at the forefront of marketing and strategic thinking. Written in response to the demands by Trout fans, acolytes, and students worldwide, this book brings together the key ideas from his substantial body of work in a quick-bite format.